This entry was posted in nature, photos, Wordless Wednesday and tagged rhodo, rhododendron, tangledFX by WendyA. Bookmark the permalink. Very Cool pic!! How did you do that?? HAppy WW! Hi Ollie! 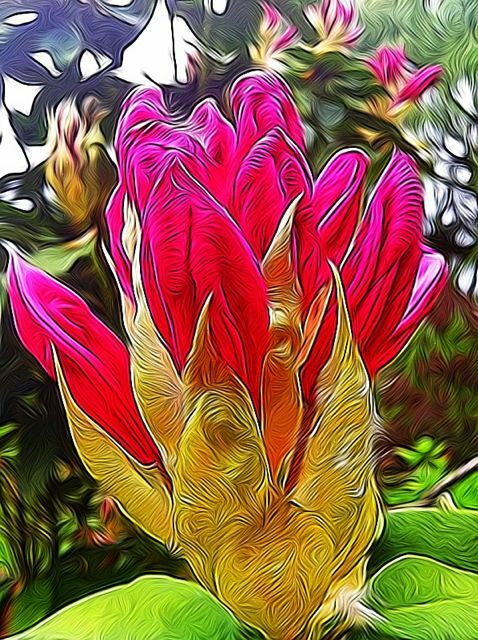 I took a picture of a rhododendon and then used the TangledFX app on my iPhone. I think it looks a bit like stained glass!! WOW! That is lovely art.